Launched just this year, Fair Go Casino may not have much history under its belt, but given its fantastic software, huge range of casino games, including outstanding pokies, and rewarding welcome bonus and ongoing promotions, this casino already has tons going for itself. Even while Fair Go Casino doesn’t have a long track record, it is part of the popular Deckmedia Group, famous for Slotocash Casino and many others. Deckmedia has been operating for more than 10 years! One of the features, which sets Fair Go Casino apart from the rest is the fact that this is a super simple casino with a one-page design, no-download system that players can visit from their desktop in Instant Play mode or mobile, including the most popular devices. Fair Go is this casino’s name – a site for Aussies to experience the democratic Australian trait of fairness to all. Powered by leading online gaming software provider and developer, RealTime Gaming, there’s no doubt that Fair Go has a more than bright future. Players who visit Fair Go Casino will enjoy a varied collection of exclusive pokies, such as Caesar’s Empire, Lucky 6, Crazy Vegas, Lucha Libre, Crystal Waters, Cleopatra’s Gold, Count Spectacular and many more, table games like Blackjack, Baccarat, Face Up 21, Pai Gow Poker, Vegas Three Card Rummy, and progressives such as Caribbean Hold’em Poker, Let’ Em Ride and Spirit of the Inca, as well as video poker games with up to 52 hands and other specialty casino games like American Roulette, European Roulette, Keno and the fun pokie Treasure Tree. The games to choose from at Fair Go Casino total over 150 titles. Deposits and withdrawals are a breeze at Fair Go Casino with deposit options such as Credit Card, Neteller, Skrill and Paysafecard. The site’s withdrawal solutions include Neteller, Skrill, Bank wire and Bitcoin. Bettors are required to make a AU $20 minimum deposit. The currency for Fair Go Casino players is Australian dollars. 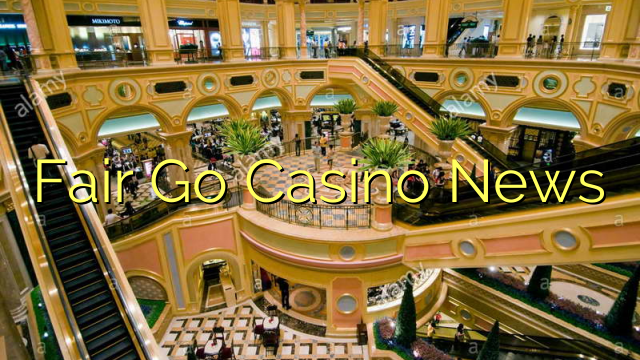 Fair Go Casino offers a series of bonuses for new and depositing players. Bettors are welcomed to the casino with a $1000 Welcome Bonus that’s spread across their first five deposits. This means players will be able to claim a 100% match bonus worth as much as $200. This special bonus can be claimed with Bonus Code: WELCOME. Moreover, players will enjoy 25% Instant Cashback that’s earned on their losses by contacting customer support whenever their balance is less than $1. In addition, players also benefit from a comp point program that allows them to exchange points for cash rewards. There’s also a mobile 50% Bonus up to $200 and other special promotions such as 30 Free Spins for deposits made from Monday through Thursday. 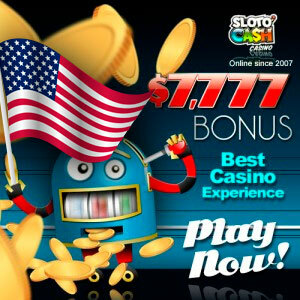 The Free Spins are available on a featured pokie game, which changes from week to week. Fair Go Casino is a promising site for Australian players looking for a simple yet powerful casino that performs well and is secure. With a strong selection of pokie and classic table games, there are endless hours of entertainment available at Fair Go Casino.